Zoek je een waanzinnig enthousiaste fotograaf voor familiefoto's? Met iso800 heb je altijd een spontane fotograaf en/of videograaf voor 'day in the life' beelden. At iso800, we don't like classic family photography. 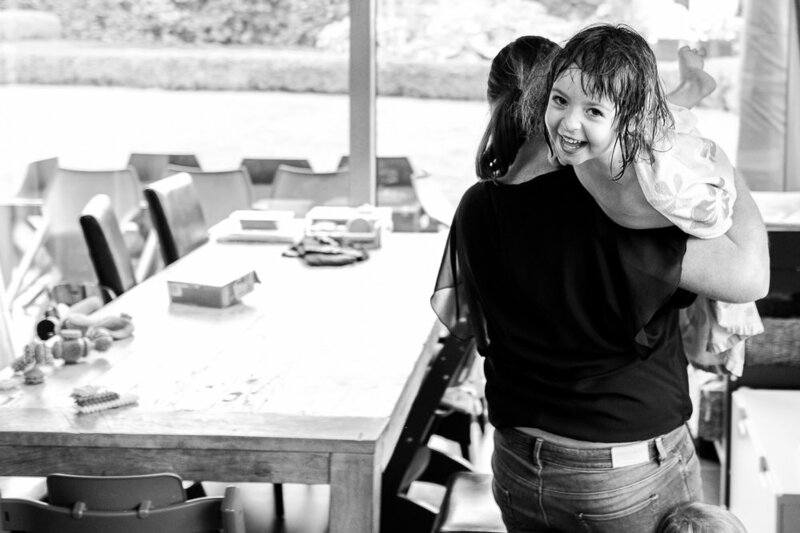 Instead, we aim for images that capture a real day in your family life. Life as it is, in short. Cooking together with the kids, taking a bath (or not wanting to) and the tantrums of your beloved daughter who want to ride a bike, but uses the dog for it. Not one posed image, but real emotions. Images that will remind you - ten years from now - how your family really was. Sounds like your cup of tea? Get in touch! For a Day in the life session, we obviously capture a normal day in your life. The most important thing for us is the relationship between the different members of the family. Little touches or massive fights: they all tell as much about your love for each other, and the fantastic family you are. We simply hate tacky family pictures, and aim fully for spontaneous pictures. That is: pictures when you're barely awake, pictures when the strawberry yoghurt falls on the white carpet, and a photographer who follows you everywhere. Good thing we're such nice company. The price for a Day in the life session depends on what you want exactly. In any case, you can get a nice discount by planning the session on a week day instead of a weekend. Ask us more in the contact form! A family is much more than two parents and a bunch of children. The relationship between you, the way you interact, the way you show you love each other: those are the moments we're aiming for. In short: we make the images we want to see ourselves - ten years from now - of our own family. Every Day in the life session is delivered on a USB stick made of natural bamboo wood. On it, you'll find all the images in high resolution, without a watermark or logo. In addition, you'll receive a little photo book with the best pictures of the day. Larger books of prints are also possible.